It looks like red hair may be the biggest hair trend in 2019. Refinery29 wrote, "Before this year, going red felt... off limits. Even though platinum requires a ton of bleach and rainbow is a multistep process, becoming a redhead always felt like the most extreme hair color transformation possible... until now. More than ever, salon clients are requesting shades of crimson, from subtle highlights to a red wine stain. 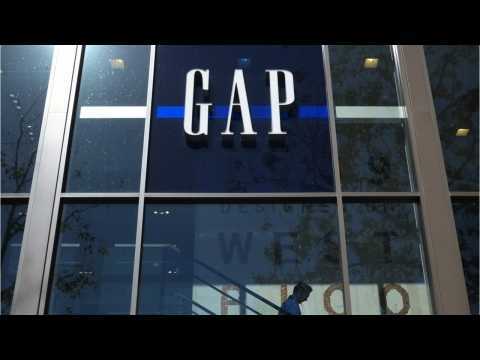 Brian K.
Discounts have become a mainstay at Gap. It's increasingly becoming unusual to pay full price for anything at the Gap. In Gap Inc.'s most recent earnings statement, it reported that same-store sales for its namesake brand were down 7%. Its sister brands Old Navy and Banana Republic reported a 4% and 2% increase, respectively. Business Insider reports Group CEO Art Peck is disappointed with the results. Peck said that Gap continued to feel the impact of "operational missteps in the business," which led to heavy discounting. Just over a week before she's set to kick off her Las Vegas concert residency, called Enigma, Lady Gaga is now rocking a dusty shade of lilac. On Wednesday, Gaga's fiancé Christian Carino posted a photo to Instagram of the star sitting on a fountain with her purple hair draped across her face. Ever the trendsetter, Gaga seems to be right on the mark with this one going into 2019. The pastel shade was just named one of Pinterest's top 100 trends of 2019, with searches for "lilac hair" up 1077%. Nicole Kidman: Back to Her Roots with Long Red Gorgeous Hair! Nicole Kidman is back to red! Check out her stunning new hair while she was on set filming Big Little Lies with Reese Witherspoon! We all know Cara Delevingne has killer brows, the type of bushy beauties that can only be attained by some special DNA, but what other Hollywood hotties have equally as glams brows? Beyoncé knows how to rock her high arches and is always a favourite with her rounded brows. Emilia Clarke has gorgeous eyebrows thanks to some good childhood advice, she sidestepped the 'over tweezed' trend and now happily flaunts her bold beauties. Charlize Theron is a brow icon for the blondes, picking the perfect shade to complement her hair without being to overbearing. We can't all have thick bushy brows especially if you've tweezed hard previously, but check own Gwen Stefani's brow transformation. Zayn Malik has dyed his hair gray according to the hot new trend. The former One Direction member has recently split from his fiancé Perrie Edwards, and the two have put their 7 million dollar mansion on the market, so a bold new hair choice seemed like the next logical step for Zayn.